I have often asked myself why I am willing to pay more than $100 to ride my bicycle on trails and roads that I have access to year round, on a day when the trail is more crowded than usual. 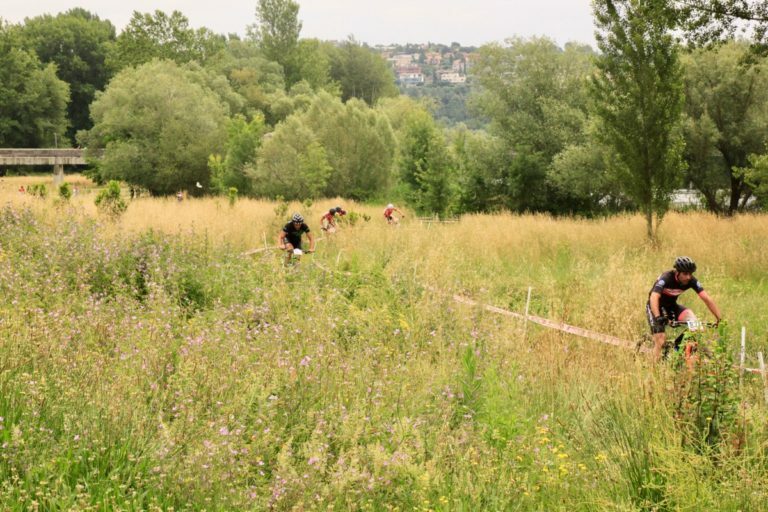 Besides satisfying your competitive urges, what makes the price to enter a mountain bike race worth it? 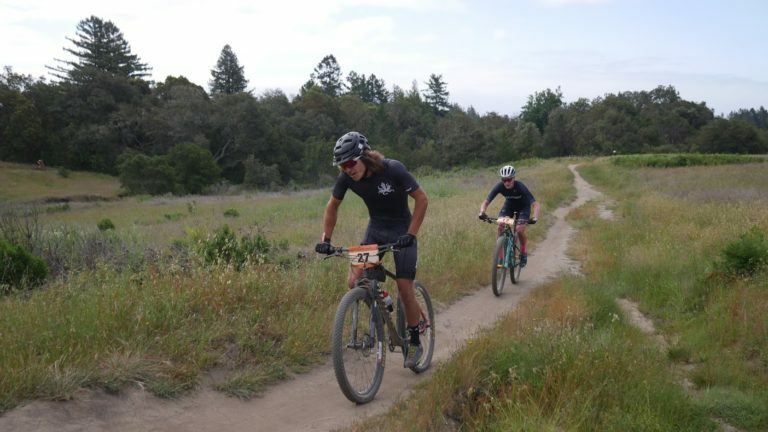 Obviously, not all bike races are created equal, and there are differences between those run to raise funds for local trail organizations vs. for-profit ventures. There are those that push riders’ limits and those that prioritize adventure over high heart rates. Overall, these events rarely make significant returns on the time spent by race organizers and volunteers. By signing up for a bike race you expect a different experience from the one you could organize yourself, whether that is driven by the need for support, a desire to widen your community, or simply self challenge. For that reason, I’d encourage everyone to attend a bicycle race in some form of participation. Below is a list of validations for forking over the entry fee, whether this is your first time considering entering a race, you are a seasoned veteran, or a family member looking to become more involved with your significant other’s passion. Even if racing isn’t for you, consider volunteering as a race marshal, medic, or course setter to reap many of the benefits below and some good karma as well! Yes, races often encourage professional athletes to compete for the chance to earn prize money; however, you don’t need to worry about how far ahead these superhumans are, nor what place you yourself are in. Races provide the rare opportunity to really dig deep into yourself both mentally and physically. You may be heaving after a strong effort on your local hill, thinking that you have drained yourself. But add in family, friends, and strangers cheering you on, the competitive desire to catch that rider just ahead of you, or the chance to win a belt buckle (see Leadville 100) and you may just find a side of yourself that you haven’t experienced before. That push into new mental and physical states is how you become stronger, and knowing what you have accomplished, regardless of placing, will provide endorphins for hours, days, and weeks to come. No matter the distance of your usual rides on the weekends, there is a limit to how much food, water, and supplies you can carry to push the boundaries regarding distance. Races offer support through well-placed aid stations bustling with volunteers who provide everything from fruit and energy bars to mechanical services. These aid stations are generally available for any distance you may be riding since most races aren’t really about who can go the farthest the fastest. 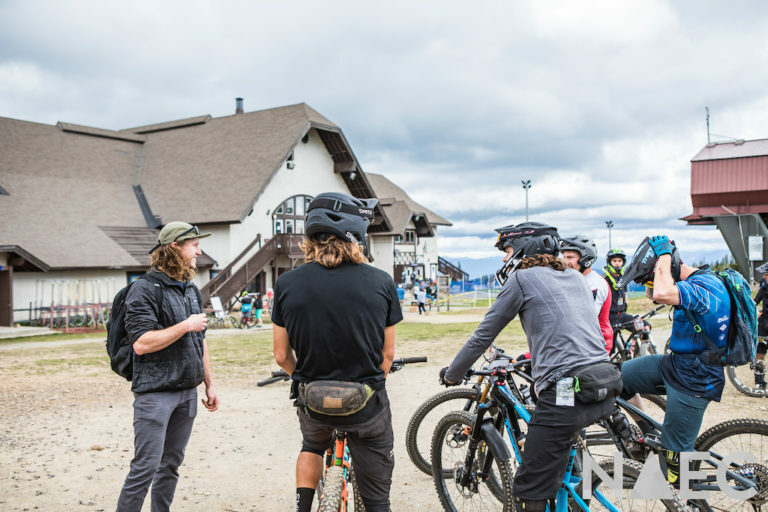 Instead, races are generally organized to ensure everyone has a great time by helping the greatest number of riders complete the course. I get it, many cyclists drive hours to their closest trail center in order to find solitude in the woods, but no one can argue that riding with friends every now and then isn’t a great time. What about those of us who simply don’t know anyone else who rides mountain bikes? Sparking up a conversation on a trail can be hard, and rarely brings new riding partners since people are there to ride, not chat. 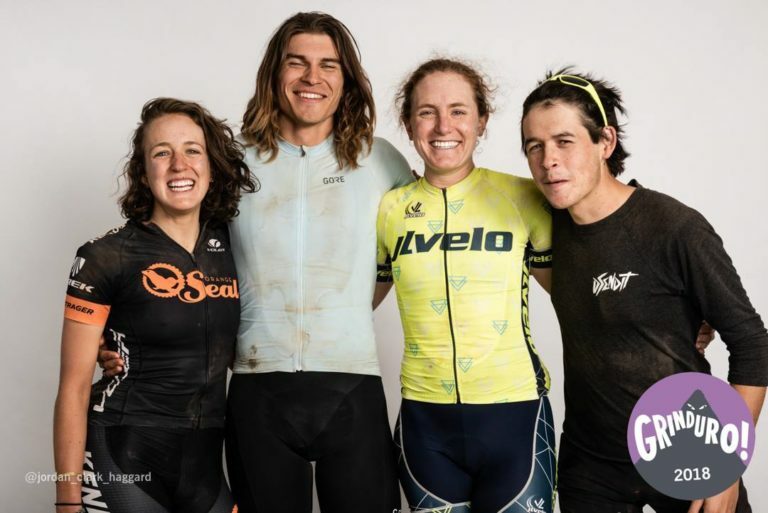 On the other hand, showing up at races affords you the opportunity to support your local trail organization, find other people with similar riding abilities to yourself, and hang out after the race with a beer in hand, reminiscing about close calls or hard efforts with your fellow competitors. 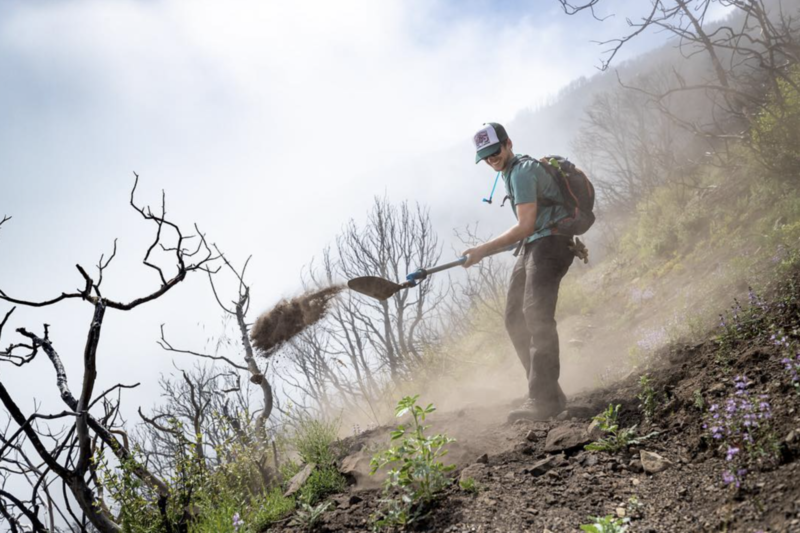 Oftentimes race fees go toward funding the local trail organization that has put on the race through trail maintenance, gathering sponsor support, and supplying volunteers. The profits from the race help maintain existing trails and often lead to the creation of new ones. Whether the race is at your local trail center or not, you should feel good about choosing to spend your weekend outside and helping support trails. Beyond the immediate benefits to local advocacy groups and trail building, the economy at large benefits immensely from hotel reservations to selling cups of coffee. Just showing up in local community to ride bikes will increase the likelihood those communities and land managers will want to support bikers in the future. You should leave every race you attend with memories to last a lifetime, whether they involve standing on a podium, good times with friends new and old, or accomplishing something you wouldn’t have thought possible. Beyond the endorphins provided by these thoughts, most races have at least one photographer on course to preserve your momentary suffering or joy in digital form, to last forever. These photographs capture emotion, something that can be hard to recollect with memories alone. Hopefully the list above makes you consider registering for a race this season. Whether it is your local grassroots organization, a stage race overseas, 10 miles or 50, the support, community, and memories you will experience are far more valuable than the registration fee. 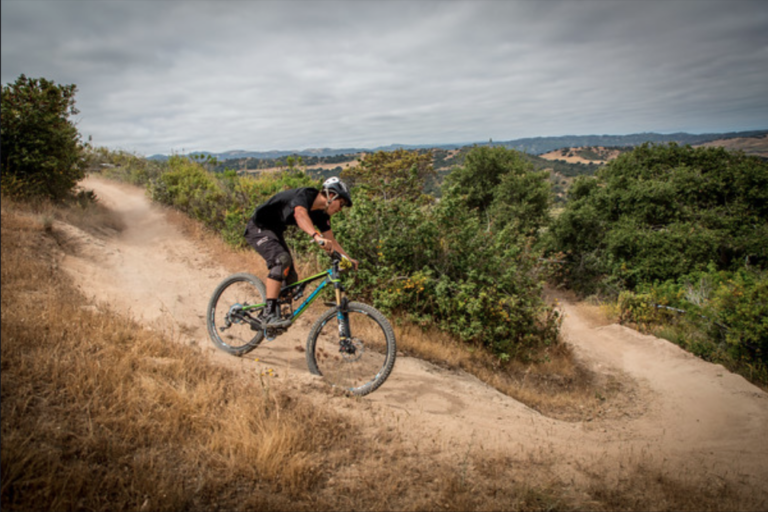 Check the Singletracks mountain bike race calendar to find an event near you!